Girl Scouts of the USA Chief Executive Officer Anna Maria Chávez will be in some very impressive company on Thursday, May 9, when she takes part in the inaugural Forbes Women’s Summit: Power Redefined in New York City. 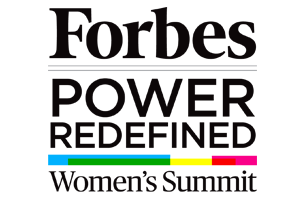 The summit will feature a who’s who of accomplished women from Forbes Most Powerful Women, 30 Under 30, and Celebrity 100. Chávez will be moderating a panel discussion on innovation and STEM (science, technology, engineering and math). The panelists include Ellen Kullman, chair of the board and chief executive officer of DuPont; Leslie Dewan, chief scientist at Transatomic Power; Susan Hockfield, president emerita of the Massachusetts Institute of Technology; and Cori Lathan, chief executive officer at AnthroTronix. Girl Scouts will be well represented. Girl Scout National Board of Directors member Linda Descano, president and chief executive officer, Women & Co., and managing director and head of digital partnerships, content and social at Citi, and Girl Scout National Board of Directors member Cathy M. Coughlin, senior executive vice president and global marketing officer, AT&T Inc., are both participating. Among some of the other participants include U.S. Secretary of Homeland Security Janet Napolitano, Huffington Post Media Group Editor-in-Chief Arianna Huffington and Anne Sweeney, co-chairman, Disney Media Networks and president, Disney ABC Television Group.